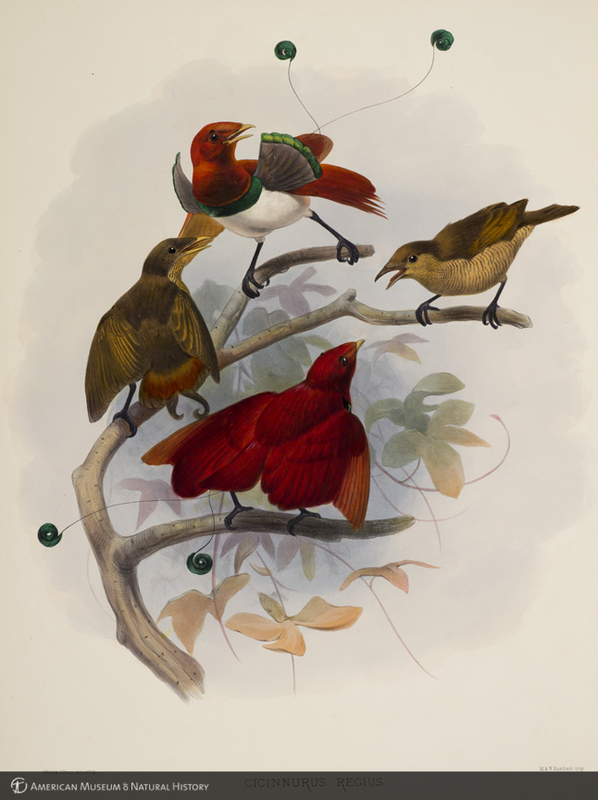 AMNH Research Library | Digital Special Collections | Cicinnurus regius (king bird of paradise) from Daniel Giraud Elliot's "A Monograph of the Paradiseidae or Bird's of Paradise"
Cicinnurus regius (king bird of paradise) from Daniel Giraud Elliot's "A Monograph of the Paradiseidae or Bird's of Paradise"
“Cicinnurus regius (king bird of paradise) from Daniel Giraud Elliot's "A Monograph of the Paradiseidae or Bird's of Paradise",” AMNH Research Library | Digital Special Collections, accessed April 21, 2019, http://lbry-web-007.amnh.org/digital/items/show/18760. Elliot, Daniel Giraud, 1835-1915. A monograph of the Paradiseidae or birds of paradise. [London] For the subscribers, by the author, 1873.